Dipak Patel recounts the story behind Popup Bikes in the latest instalment of our inspirational entrepreneur Q&As. 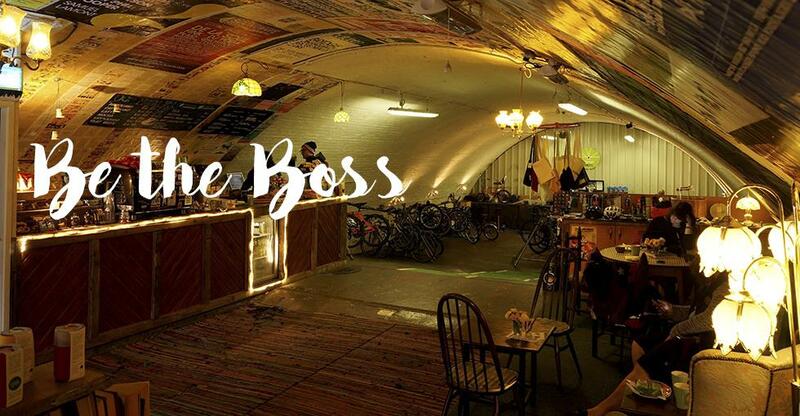 Home to a bike repair shop and coffee shop/café, as well as indoor parking for up to 100 bikes, Popup Bikes is Manchester city centre’s original cycle café. Founded by Dipak Patel after a stint of travelling and a journey of self-discovery, Popup Bikes focuses on community, quality coffee and, of course, bicycles. We had a chat with Dipak to find out more about his innovative business venture. went along. I would always take up positions of apprenticeship where possible in order to increase my skills base. A few of the things I learnt along the way were: how to cook, carpentry, house building, sweet potato farming, decorating and even how to make a wicked Pina Colada in a fresh coconut using just a machete! How did it all start? Why bikes? Upon returning to the UK I found it difficult to find work. I wanted to be productive and stay fit while I was unemployed so bought a bike and hit the trails near my home. Soon my bike fell into disrepair and I didn’t have the money to fix it, so I started using YouTube tutorials. The owner of my local bike shop encouraged me and sold me the parts I needed. Within a few months I was getting quite advanced so I started to buy broken bikes, fix them and re-sell them. Why bikes? I could see that there was going to be a bike boom. Transport was getting dearer, people were economising and pollution is still a problem. Add to that the health kick and bikes were the answer. I wanted to have an ethical business. I could easily be a car mechanic but I want to be a part of the solution, not the problem. To be transparent and customer-focused. We don’t advertise and we rely solely on social media and word of mouth. The idea is that we get repeat and new customers because our work is good, honest and reliable and not because we are cheap (which we aren't). Why did you choose to integrate the bike shop with a coffee shop? We had the extra space available and it's a really northern thing to offer people a brew when they come to your home. I took this idea, translated it to my shop and elevated it to another level. I wanted to offer super fancy brews when people visited my bike shop. I also knew that coffee would be a growth industry as more people moved away from alcohol and as business meetings became less formal. Coffee shops are just great places to hang out. What three tips would you give to small business owners? Be honest – Price your items reasonably, be transparent, and if you gaffe it – admit it! Your customers may or may not forgive your mistakes but they will always appreciate your honesty and are more likely to come back. Use social media – Social media is essential in this day and age. If you don't know how to use it then I am worried for you and your business. Be bold – As your business grows you can get bogged down with mundane things like paperwork. Try to spend some time regressing to being the inventive, creative and innovative person you really are and take those risks.